A U.S. Air Force Thunderbirds pilot was killed when his F-16 Fighting Falcon crashed at the Nevada Test and Training Range at approximately 10:30 a.m., April 4. The Air Force has identified the pilot as Maj. Stephen Del Bagno the No. 4 jet. Del Bagn hailed from Valencia, Calif.
Del Bagno was a 2005 graduate of Utah Valley State University, and commissioned from Officer Training School, Maxwell AFB, Ala., in 2007. Before joining the Air Force, Del Bagno was a civilian flight instructor, corporate pilot, skywriter and a banner tow pilot. 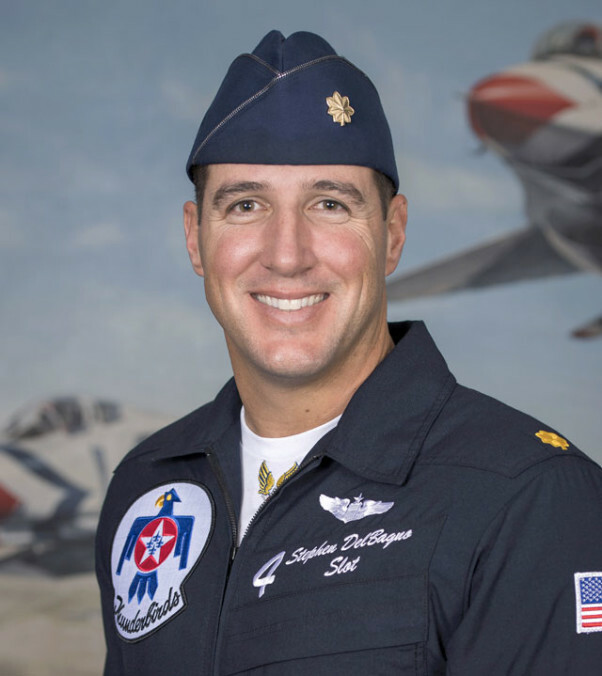 Before to joining the Thunderbirds, Del Bagno served as an F-35A Evaluator Pilot and Chief of Standardization and Evaluation, 58th Fighter Squadron, Eglin AFB, Fla. The 2018 season was his first with the team. The crash occurred during a routine aerial demonstration training flight. An investigation is being conducted into the cause of the mishap. The team’s participation in “The March Field Air & Space Expo,” at March Air Reserve Base in California has been cancelled. At this time, it is unknown how this accident will impact the remainder of the 2018 Thunderbirds Season. The crash was the third for the elite aerial display team in the past two years. On June 23, 2017, Thunderbird #08 ran off a wet runway and overturned at Dayton International Airport in Ohio while rehearsing for an air show. And in June 2016, an F-16 crashed near Colorado Springs, Colo., following a team fly over at the Air Force Academy. The pilot ejected but the $29 million aircraft was destroyed. According to the Air Force Safety Center, there have been nine “class A” mishaps involving F-16 aircraft since the start of fiscal year 2016, and in seven of those, the aircraft was totally destroyed. A “class A” mishap is defined as incidents including fatal accidents, severe damage totaling millions of dollars, or complete loss of the aircraft. The Thunderbirds were established in 1953, and have been based at Nellis since 1956. The team has flown the F-16 since 1982. In November 2017, the Thunderbirds commander, Lt.Col. Jason Heard, was relieved of command. Heard was relieved by Brig. Gen. Jeannie Leavitt, commander of the 57th Wing at Nellis. According to an Air Force release, “While Heard led the team through a highly successful show season, Leavitt lost confidence in his leadership and risk management style. “This was an incredibly difficult decision to make, but one that is ultimately in the best interests of the Thunderbird team. I am personally grateful for Jason’s dedication to the 2017 season,” Leavitt said. In December, the Air Force announced that Lt. Col. Kevin Walsh would become Thunderbird No. 1, the squadron’s commander and lead pilot. Walsh had temporarily assumed the position after Heard’s dismissal. The April 4 crash was the second deadly aircraft accident at Nellis in less than a year, and the fourth major incident. On Sept. 5, Lt. Col. Eric Schultz died after his aircraft crashed on the NTTR. 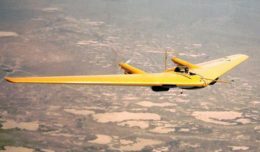 The Air Force did not identify the type of aircraft Schultz was flying, but he was assigned to the Air Force Materiel Command which is responsible for testing new aircraft and aircraft systems. A day later on Sept. 6, two A-10 Thunderbolt II aircraft assigned to the 66th Weapons Squadron at Nellis crashed at the range. Both pilots, who were on a routine training mission carrying chaff/flares and inert munitions at the time of the accident, ejected safely. And in January of this year, a Royal Australian Air Force EA-18G Growler skidded off the runway at Nellis and burst into flames. The aircraft and crew were participating in Red Flag 18-1. The two crew members safely exited the aircraft. Overall, this is fourth military aircraft mishap over a two-day period this week. On April 3, a Marine Corps CH-53E Super Stallion helicopter crashed in Southern California resulting in four fatalities. The crash occurred at approximately 2:35 p.m., CST, near El Centro. The helicopter and crew were assigned to the 3rd Marine Aircraft Wing, Marine Corps Air Station Miramar. At the time of the crash, the helicopter was conducting squadron training of aircraft landings in unimproved zones, and was flying out of Twentynine Palms, Calif.
Also April 3, a Marine AV-8B Harrier jet crashed on takeoff from an airfield in Djibouti in the Horn of Africa. The pilot ejected and is being treated for his injuries. The Harrier was assigned to Marine Medium Tiltrotor Squadron 162 and embarked upon the amphibious assault ship USS Iwo Jima. Also in Djibouti on April 4, another CH-53 “sustained minor structural damage” during an incident while landing in the vicinity of Arta Beach.